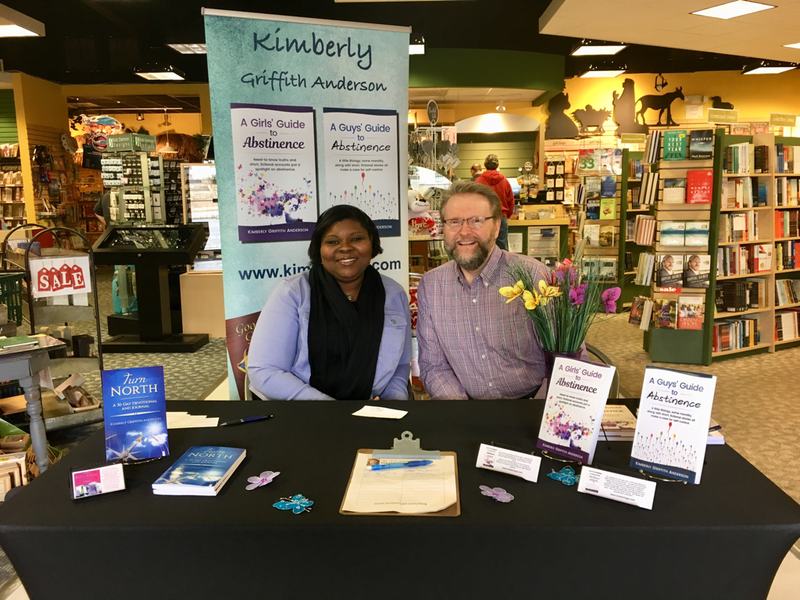 Below are some photos of Kimberly interacting with readers. 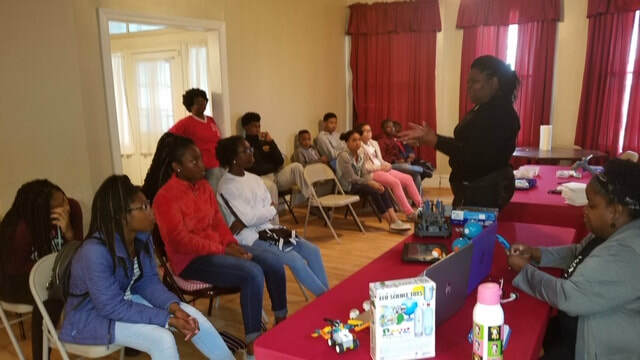 The local chapter of Delta Sigma Theta invited me to speak with their youth about STEM and to do a STEM project with them. 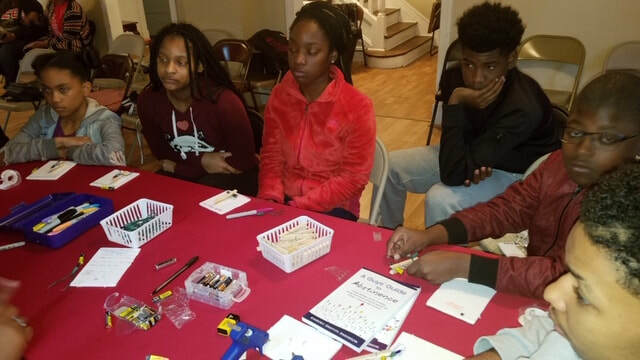 The kids each made their very own battery tester to take home and test all the AA and AAA batteries sitting on their shelf with unknown voltage. 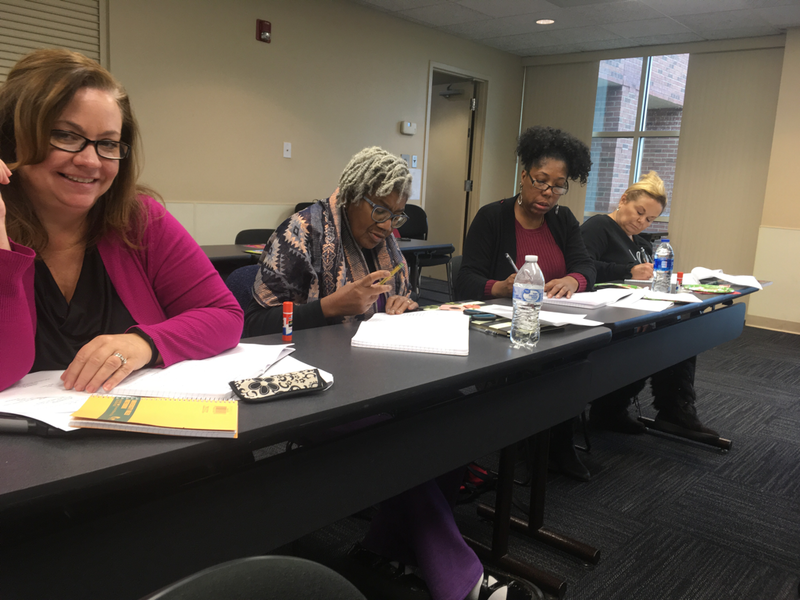 Each participant received a journal and completed several writing prompts during the session. It's always great to run into a former student. It's even better when the student is a big success! This is me with my former student, fellow author and WNBA player, Ivory Latta. Posing with these queens and this king! Wow, Carlo L'Chelle Dawson, WNBA Player & Author Ivory Latta, Community activist Janet Williams Hefney and yours truly, Kimberly Griffith Anderson! What an awesome night at the 1st ever Yorkville Literary Festival Reception! 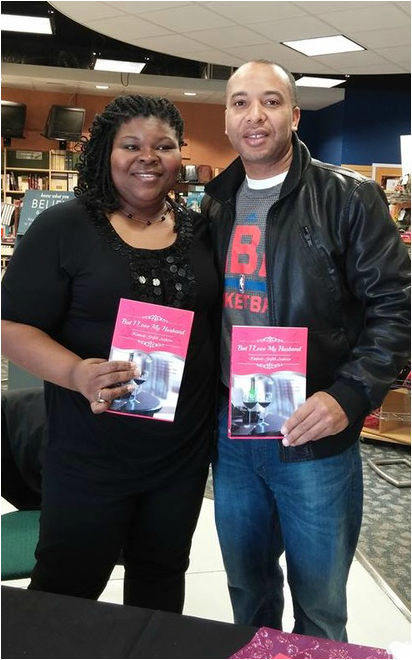 Special thanks to Marty, owner of Shepherd’s Fold Books, for hosting for a Book Signing on January 27, 2018. Always a great place to shop for Christian gifts and books! Photos by J. David Weeks. 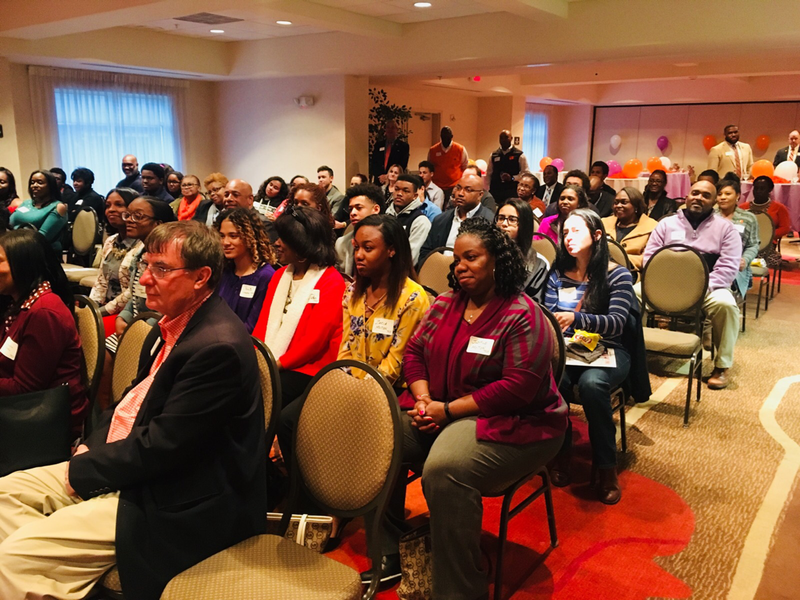 Jehovah Missionary Baptist Church, my home church, hosted a book signing for me on December 31, 2017. 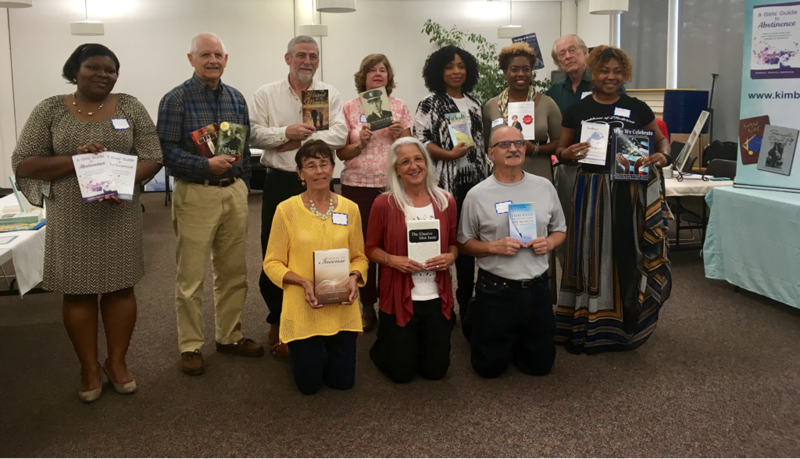 ​Several Rock Hill authors are pictured here. We met for the Local Author Fair at the Public Library. Great folks! Great titles! ​I served on a panel with Alpha Kappa Psi Professional Business Fraternity at Winthrop University. Here I am speaking with fellow author, Tadean Page, also on the panel. 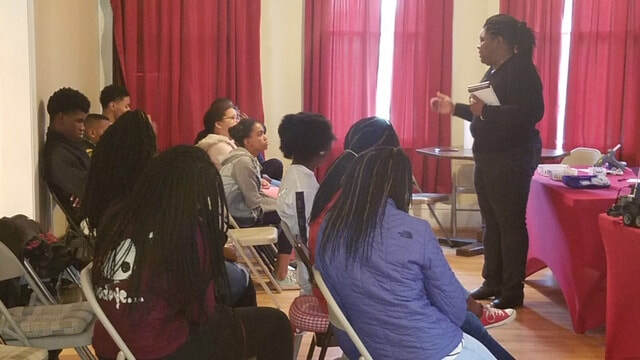 Students posed questions about how to get started making dreams a reality. 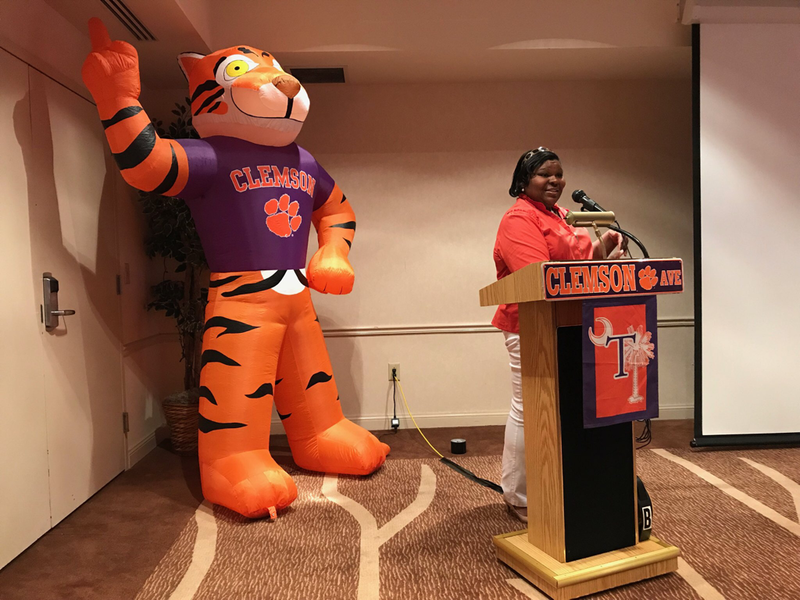 At the 25th Annual York County Clemson Club Student Sendoff Cookout, Kimberly gave Abstinence books to the students. 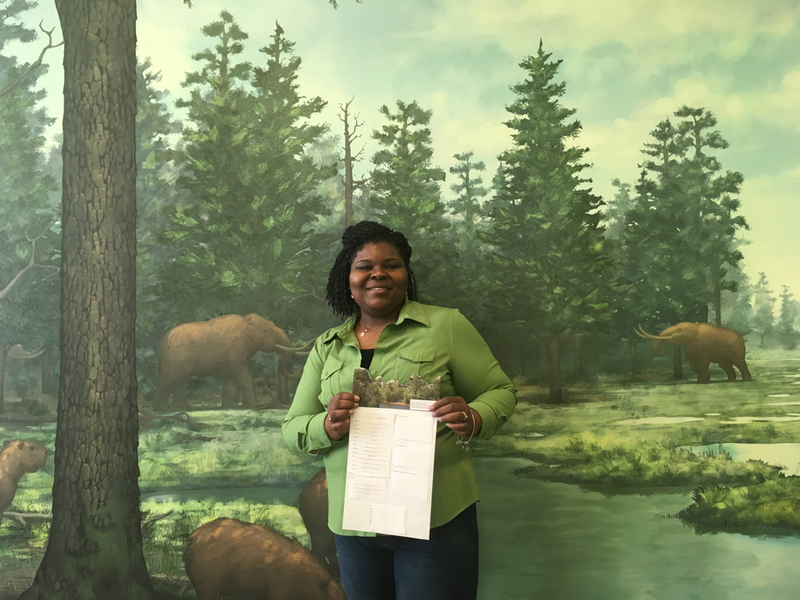 One mother said, "Thank you so much! She doesn't leave until Saturday - so I've got enough time to read it to her!" Nick and Zach paid me a visit at Shepherd's Fold during my book signing! This was taken just prior to a radio interview on WGIV-Charlotte. This was a surprise visitor to a book signing held at the Christian Bookstore in Rock Hill, SC. This is me with my older brother, Eric. These ladies all read But I Love My Husband as their book of the month. They invited me out dinner to discuss! This was a photo that was snapped after speaking with a high school Creative Writing Class. 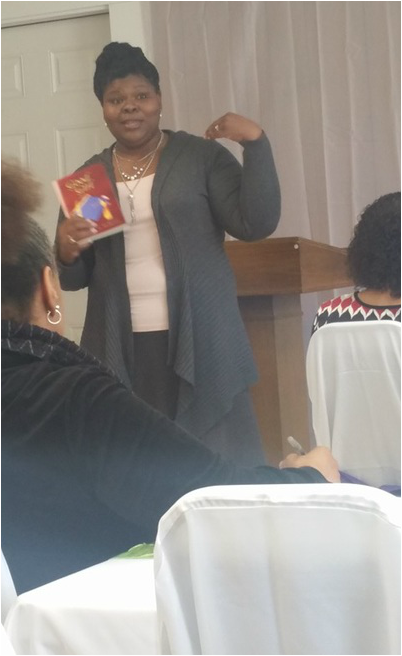 This photo was taken during a presentation about the importance of journalling at Women's Retreat. This was also my 40th birthday!